Engagement... Birthday... Anniversary... Christening... Your Unique Event... Our cakes are custom decorated to fit any occasion. Whether you're after something traditional, contemporary or unique, Heavenly Cheesecakes' artistry will be the highlight of your occasion. We customize your cake for birthdays, anniversaries, weddings, baby and bridal showers, holiday themed and religious events including baptism, first communion, confirmation and bar/bat mitzvah. Please browse through the photo gallery below to view a few samples. 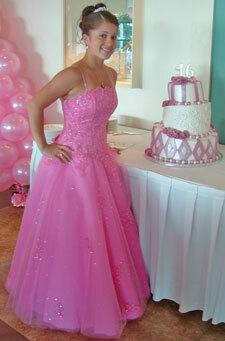 Heavenly Cheesecakes takes pride in the quality and workmanship of each and every cake. We will work very closely with you to make sure you choose the cake that is best suited for you. Each cake is personalized with your message or greeting. Cakes can be crafted in any size, shape or flavor; they taste as good as they look. Please stop by the store during regular business hours and we will be happy to custom-design a cake for your next event.